If you want to try a new short haircut, you are at the right place. Here, the best short haircuts in the 2012-2013 season will be listed, recommendation will be given. Try not to miss or skip any of these styles, remain fashionable and beautiful. Short haircuts will remain trendy for the next decades, so do not be late to catch the train. 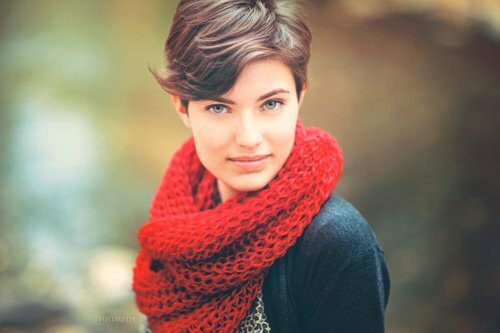 Here is the list of beautiful short haircuts. 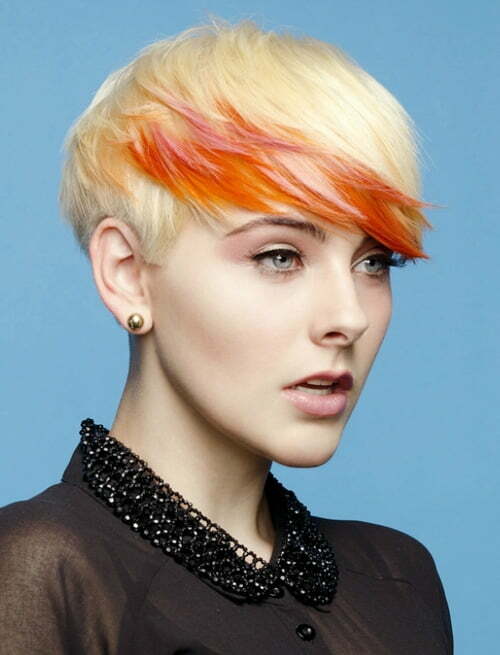 With a reddy, golden hair, this style is one of the most trendy short hair style in 2013. Look how naive and beautiful she looks and give attention to that earring. 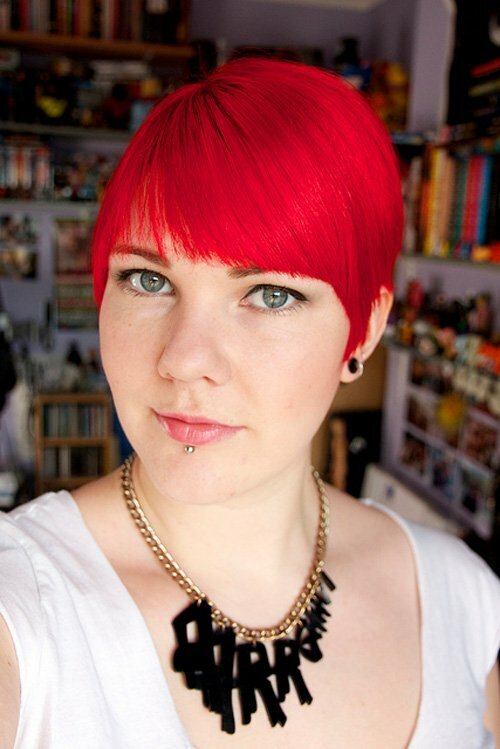 With a shiny red haircut, this style is one you should definitely try. It has its own rebel style and definitely fits with the colour. Short undercut hairstyles have became a great trend in 2013 and it cannot be ignored that it looks beautiful and assertive. 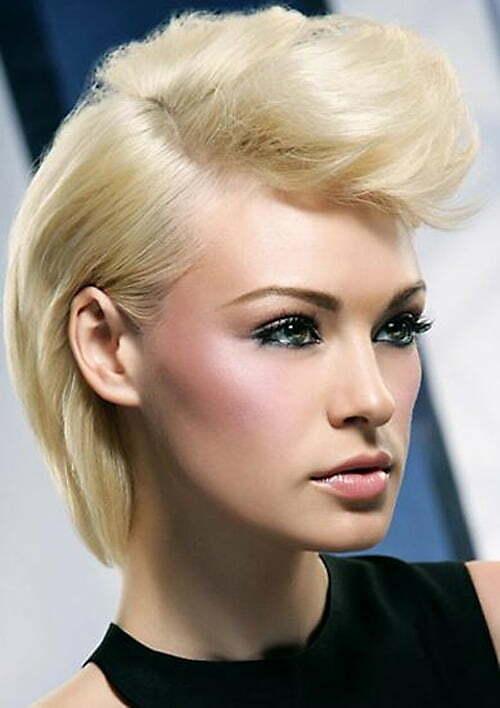 Close-Cropped short hairstyles are expected to rule the 2013, as they look really good with the short sides. You are having trouble to choose a short hairstyle for your round face, try this one. 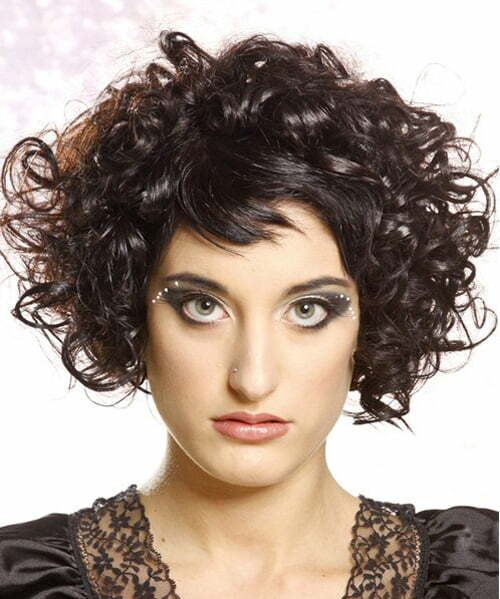 Assertive look, with straight and easy to handle cut. A must for round faced women. African American Women have been fans of short haircuts for a while, and the situation seems to not change. This “Rihanna” style definitely fits with the coloured skin. 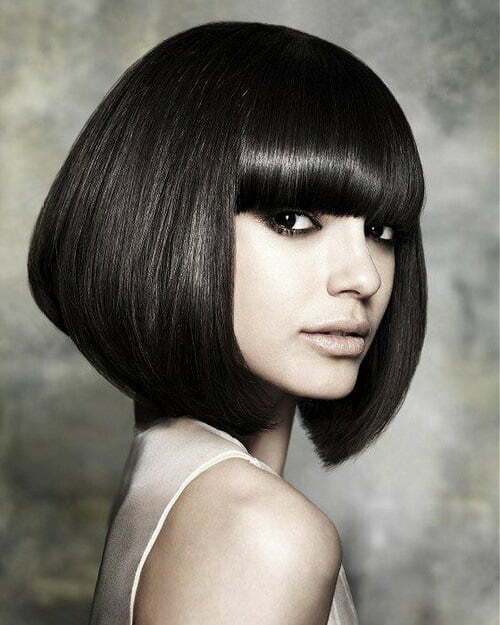 Short and modern bob haircut is best to use at work, take attention while looking serious. Make people do what you tell them to ! Don’t want to look mature, try this one. Will make you look cute, naive and beautiful at same time. Will show everyone how young you are. Curly in front, short at sides. It fits beautiful with auburn hair and colored eyes. Being beauty was never this easy. Looking for an idea of how to style your hair. Try this short haircut. Easy to handle, lessen time to go out in the morning. Square faces are hard to find a hair style. 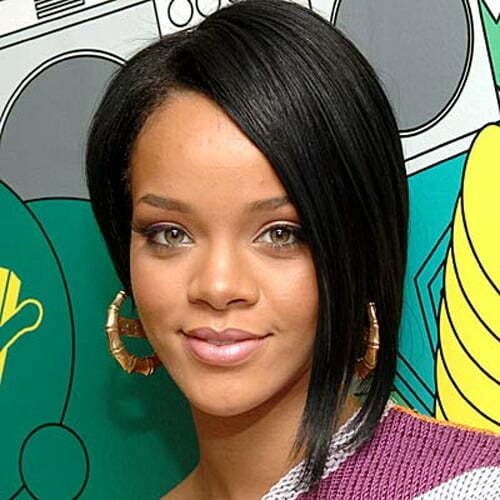 This short haircut is perfect for square faces and cover all the disadvantages of the square face. Challenge the world with your short mohawk hairstyle! Show everyone you do have your own fashion. 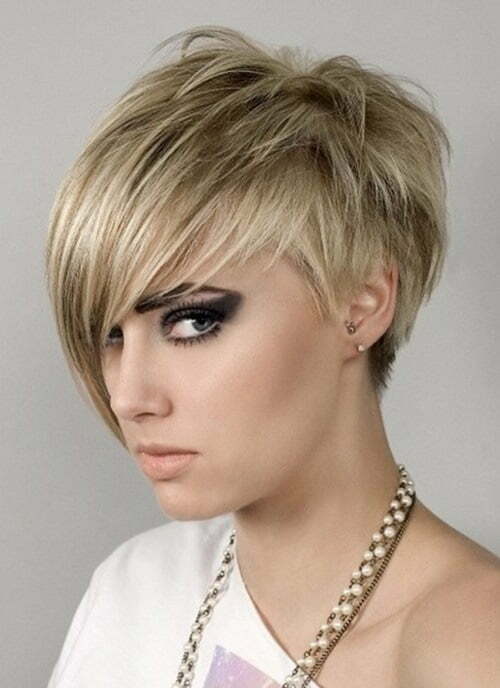 Pixie, short shaggy hairstyle are one of the favorites for the women who prefer short haircuts. This model in picture is a good example for assertive ones. If short haircuts are nice, there is no reason for shorter ones not to be nicer. Very short haircuts will become trendier soon. Short hairs with bangs look great with healthy hairs. These kind of hairstyles are fashionable lately and should not be skipped. If you have naturally curly hair, you can make them look short even if they are long. Curliness make hair look healthier and make you look more beautiful. Style of the stars, one for the assertive women. Angled Bob short haircuts are becoming a favorite among the women lately. Want to be different, take attention, challenge against the fashion understanding of the world, here is the short haircut fits for you. Having a dark hair makes your hair look healthier whatever the style is. But with a short hairstyle, you will become the center of the attention definitely. Do you think Miley Cyrus would try this model if it wasn’t fashionable? 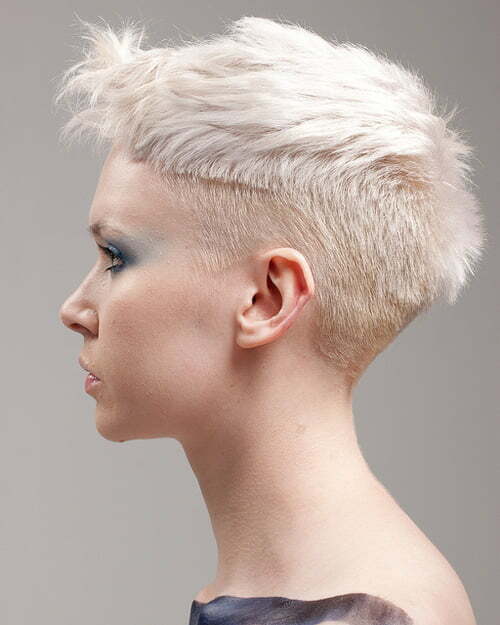 Create your difference with this side cut short haircut and tell the people who you are. 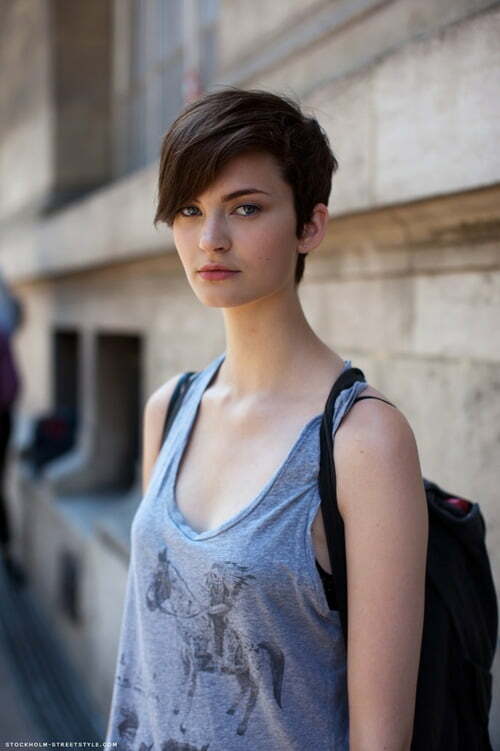 Pixie cropped short haircuts make women cuter than ever. A make-up with black colored details, made this model even better. Short haircuts for red haired women are hard to choose. But the skin advantage can be combined with a good haircut selection like this picture and disadvantages disappear. If you are looking for one of the hottest short haircuts in 2013, you are looking at the right picture. She is one of the best looking ones in this page. Light colored eyes, beautiful earrings, red details in a great short haircut. Definitely can become a trend in 2013. Don’t be afraid to look so manly. 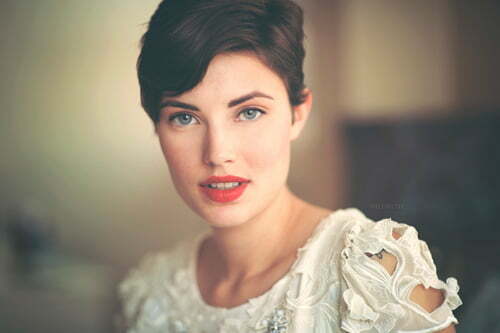 You can be this beautiful with a very short hair in 2013. 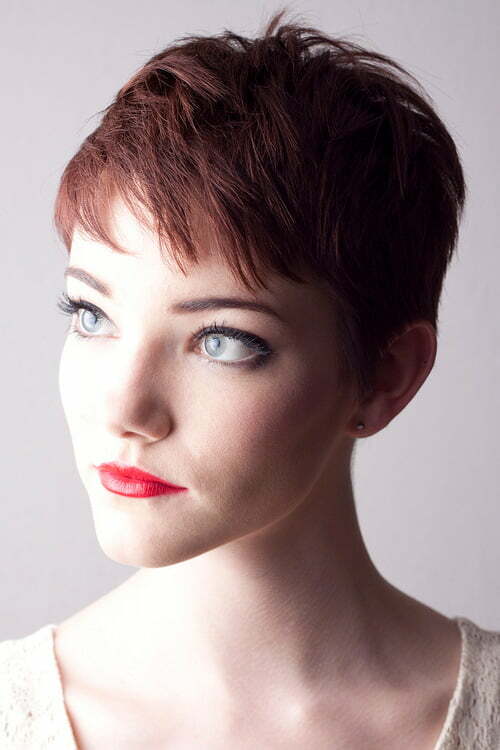 A classic pixie short haircut for brunettes. This is a never ending trend and will continue in 2013. Michelle Williams knows how to look beautiful with short haircuts and women looking like her definitely give out a try. The biggest advantage of pixie haircuts are looking like real pixies! Short haircuts will rule 2013. Some largement in front side, short backs and light eye colors. You can be this shiny with this model. 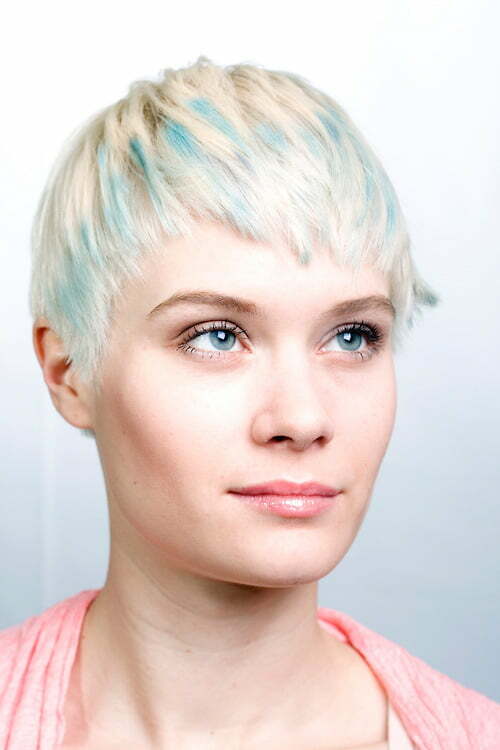 These are the trendiest short haircut models for 2012-2013 fashion season. You can look like these beautiful women, you just need not to afraid!